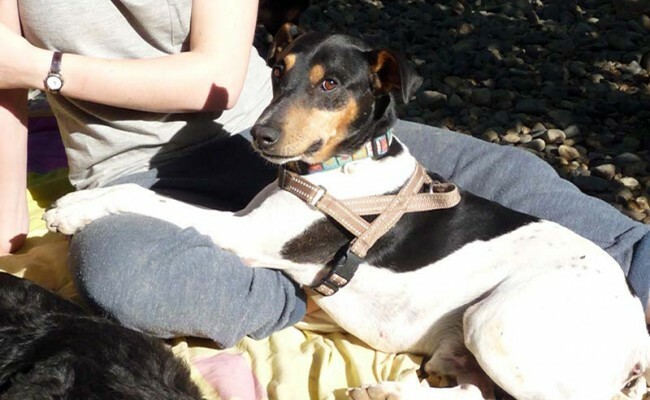 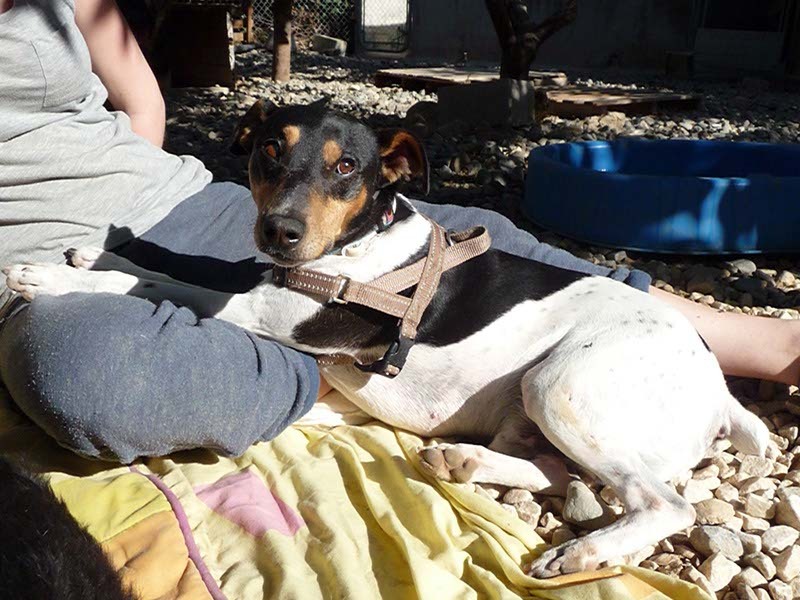 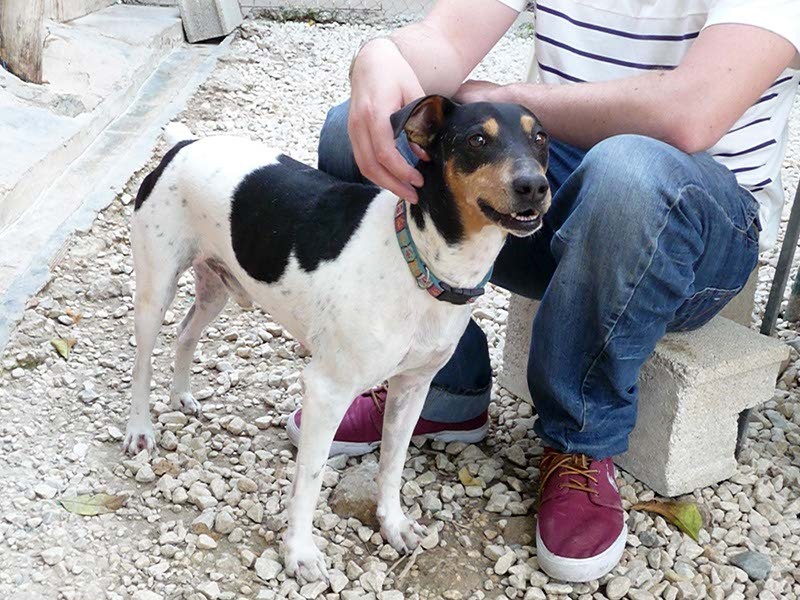 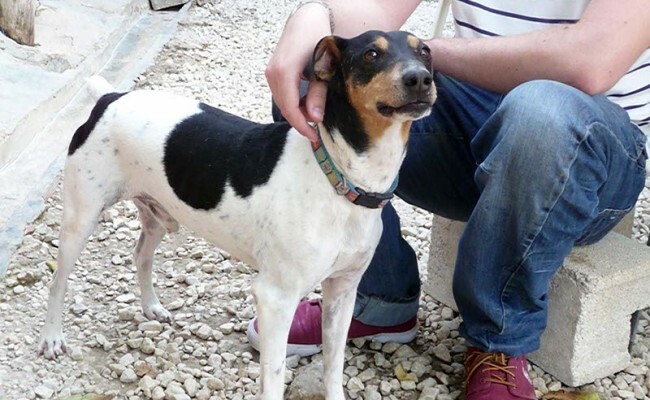 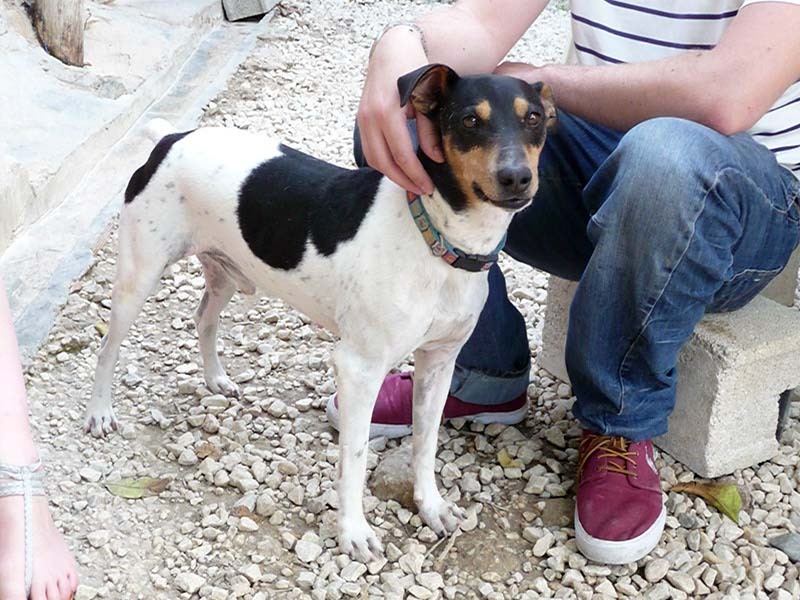 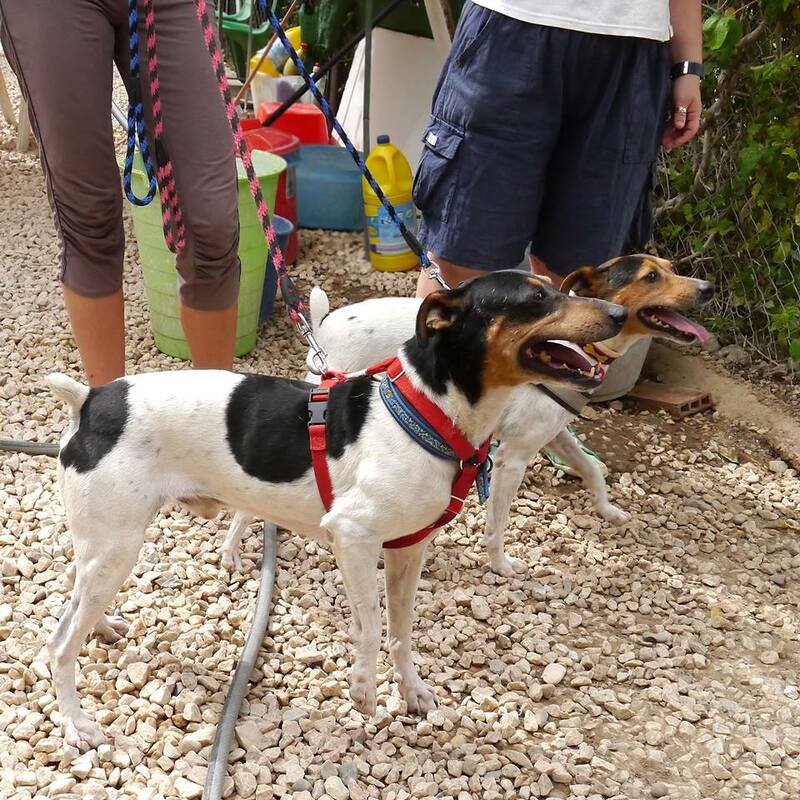 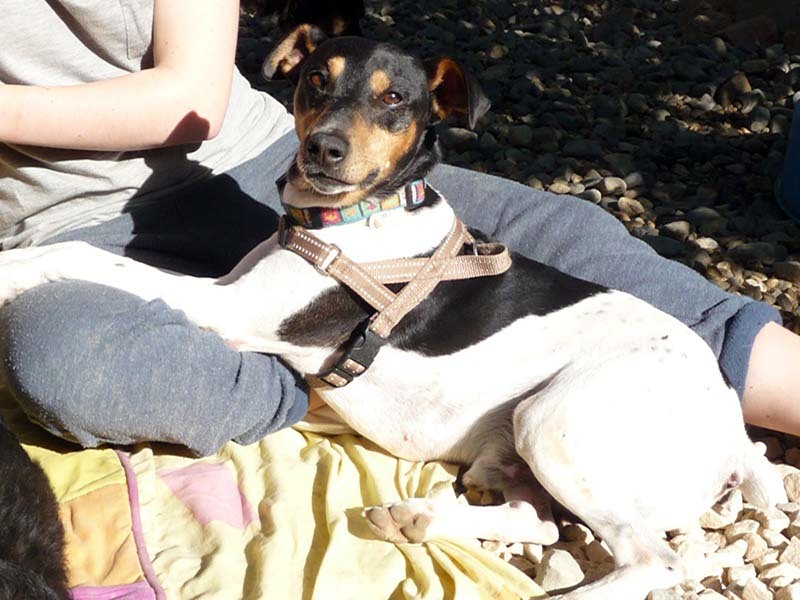 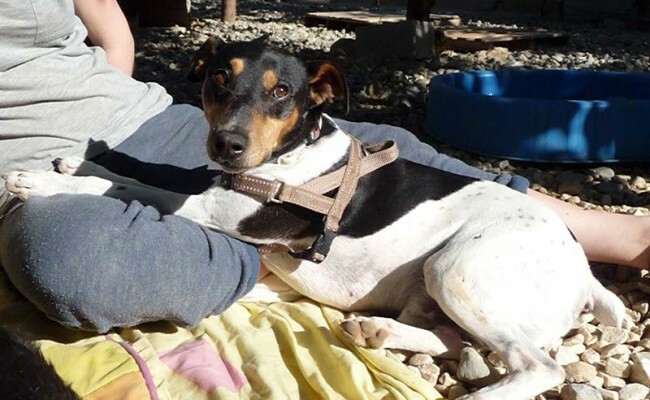 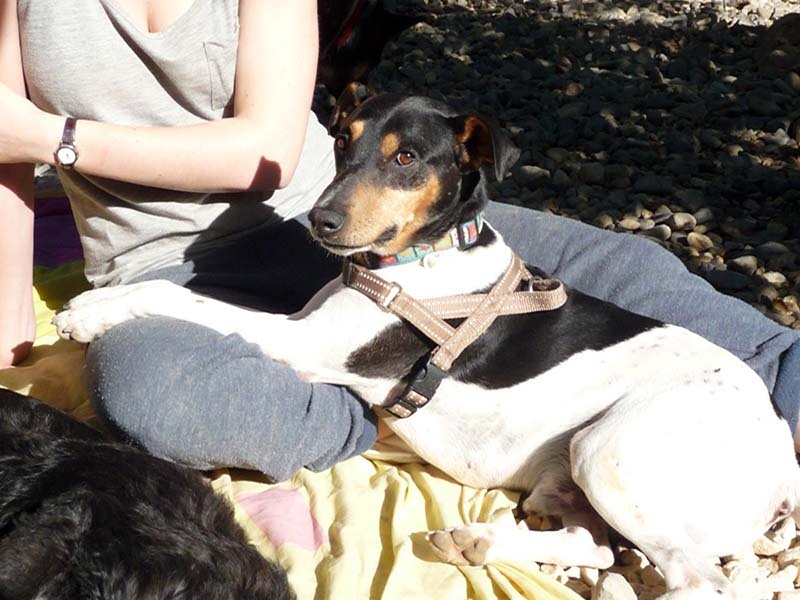 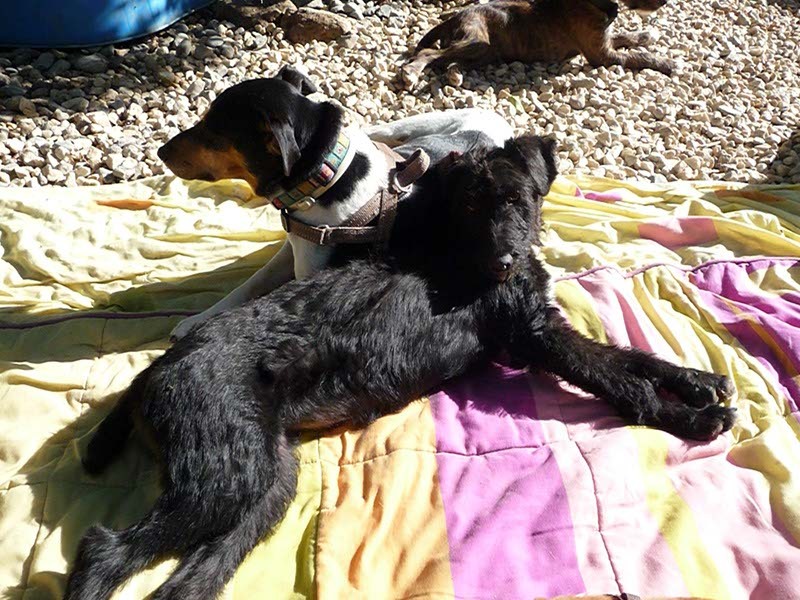 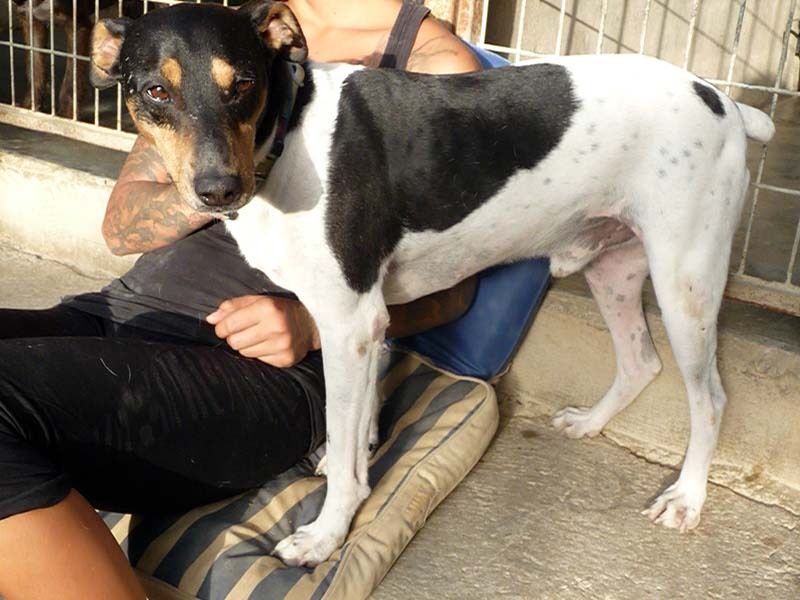 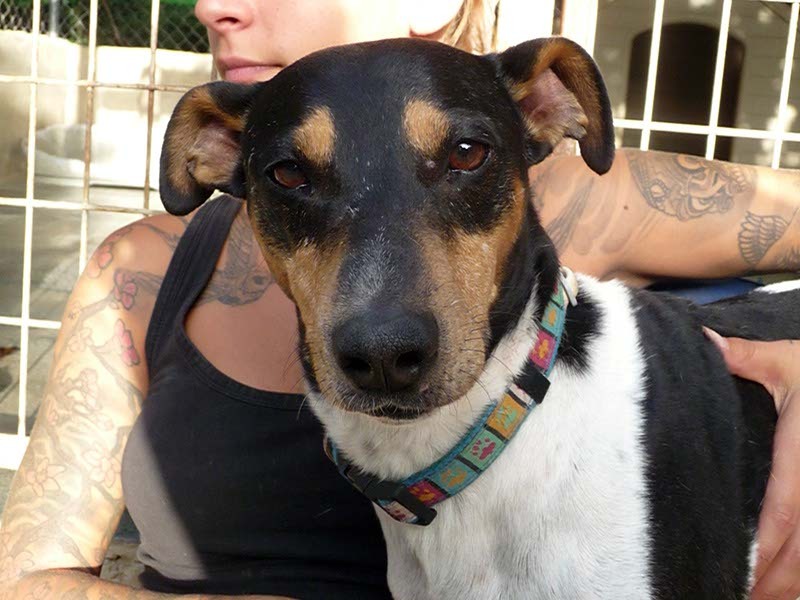 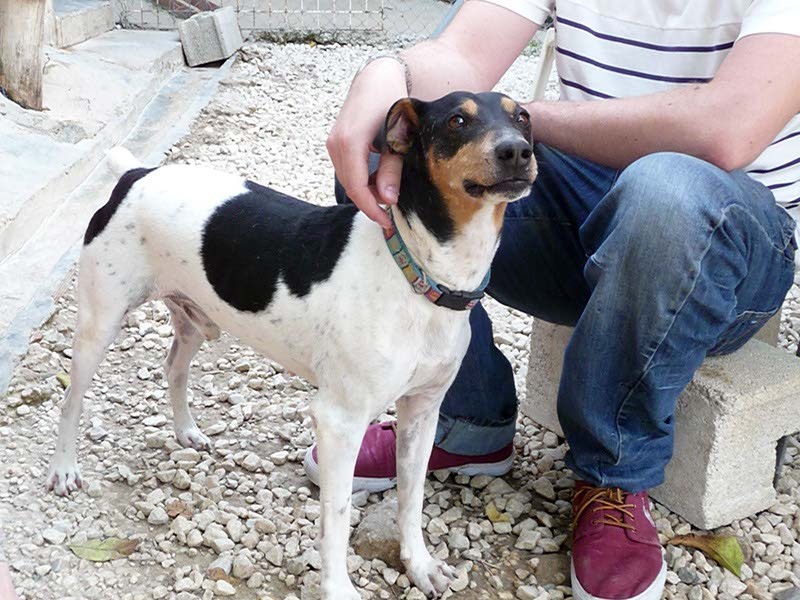 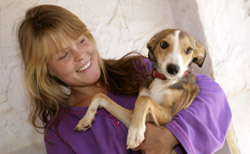 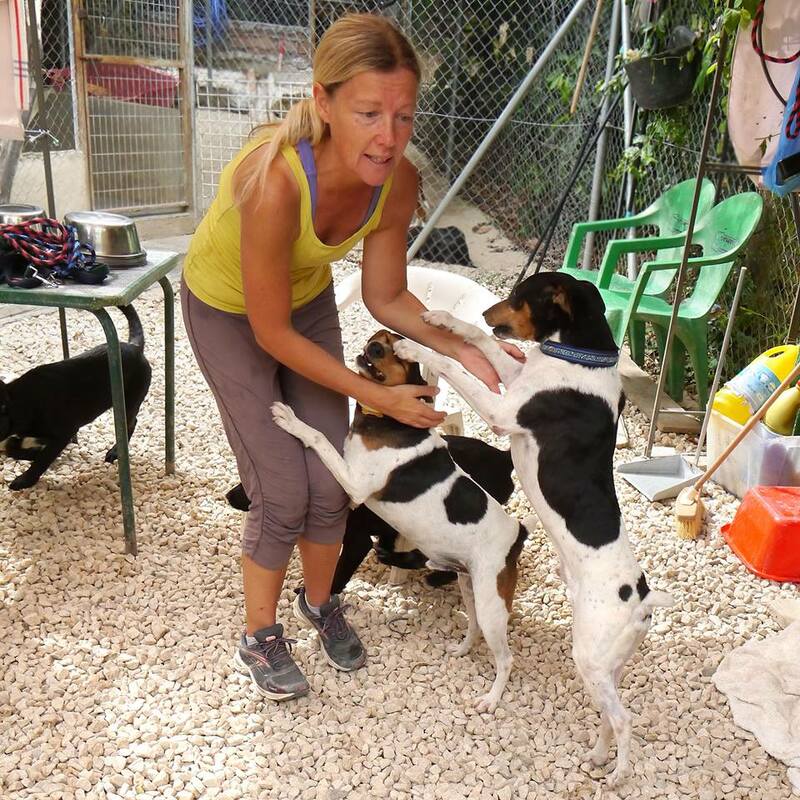 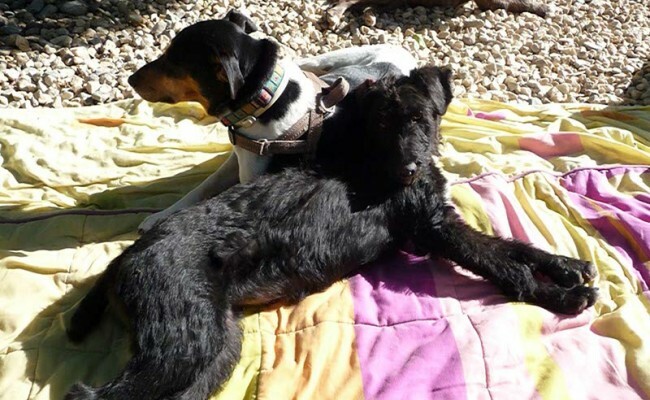 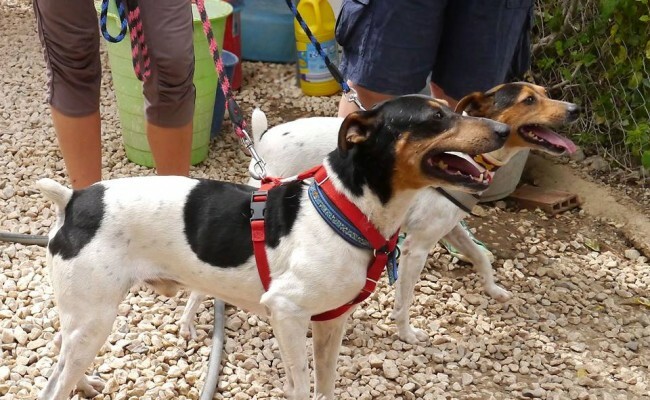 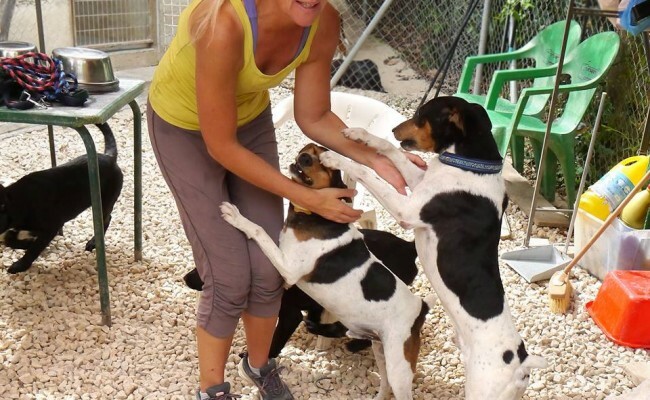 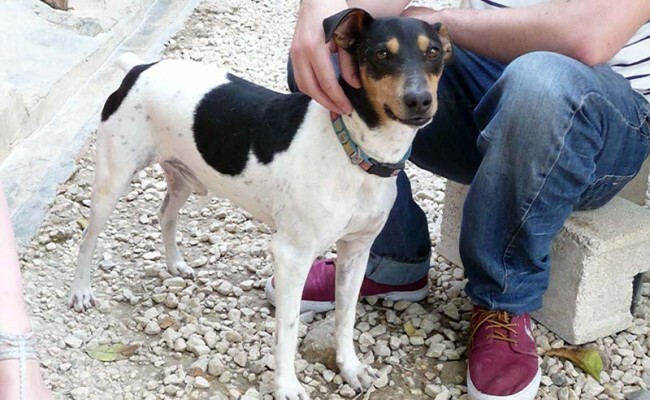 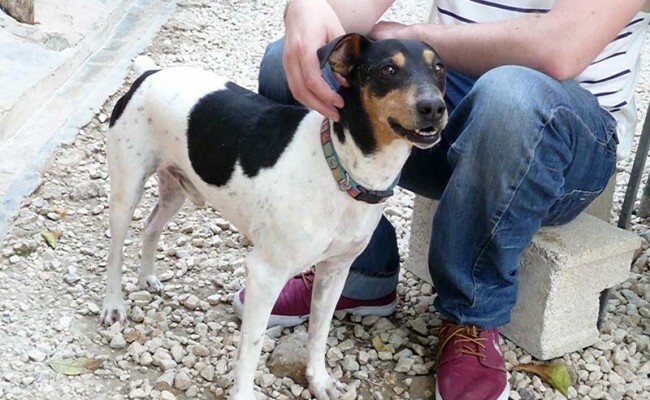 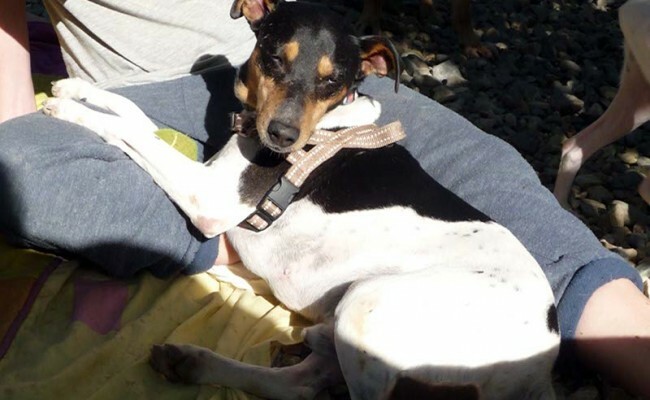 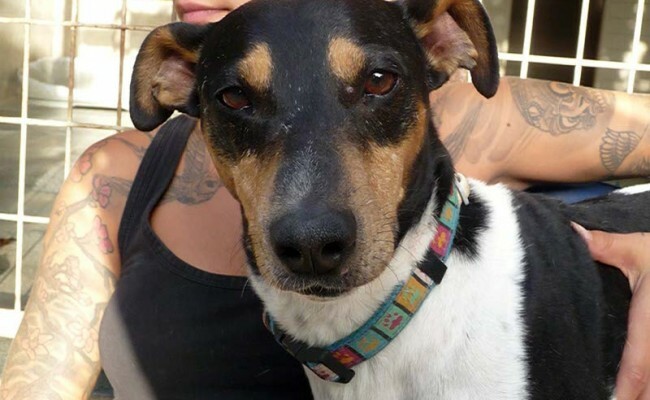 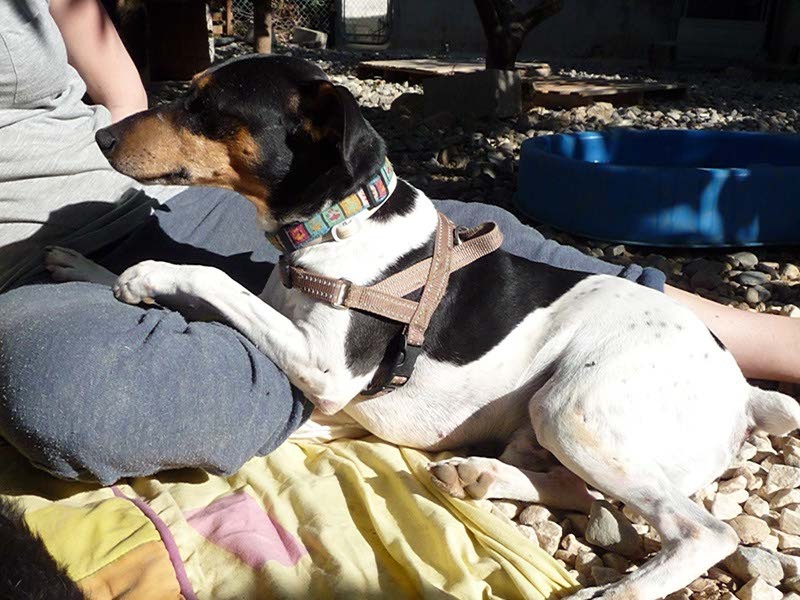 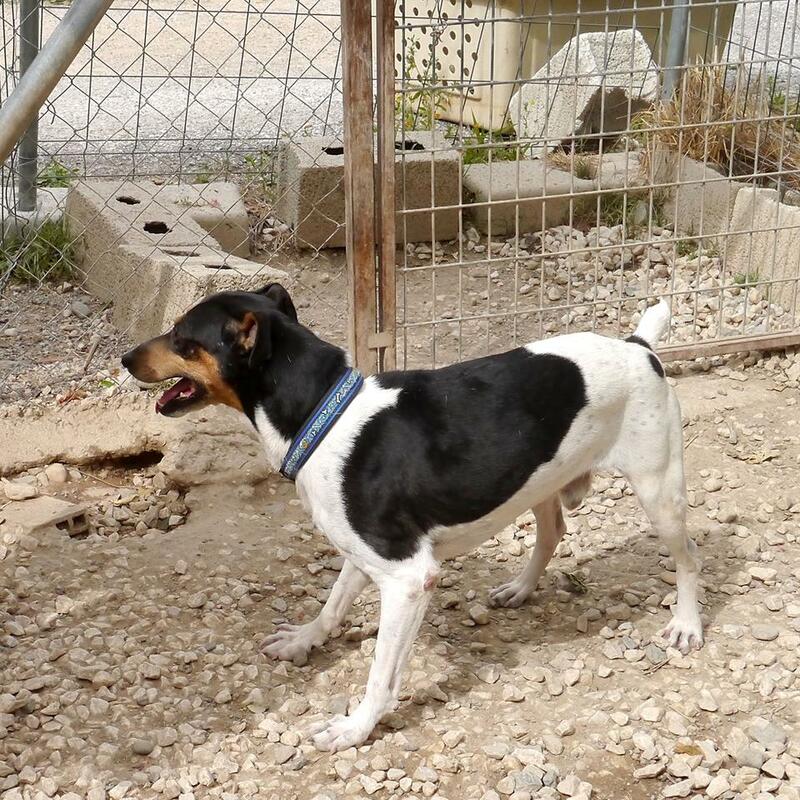 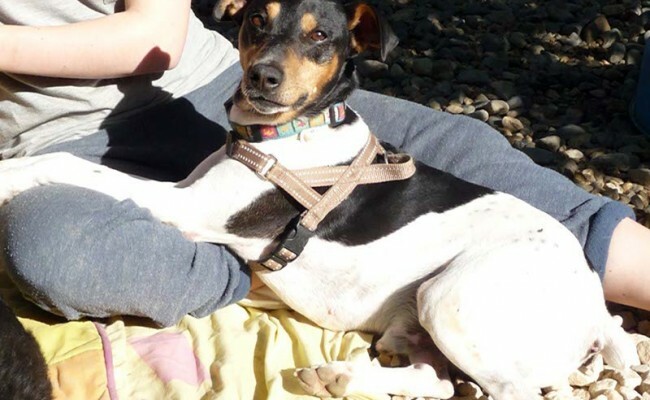 COCO is a mature & very affectionate Bodeguero of around 5 years old. 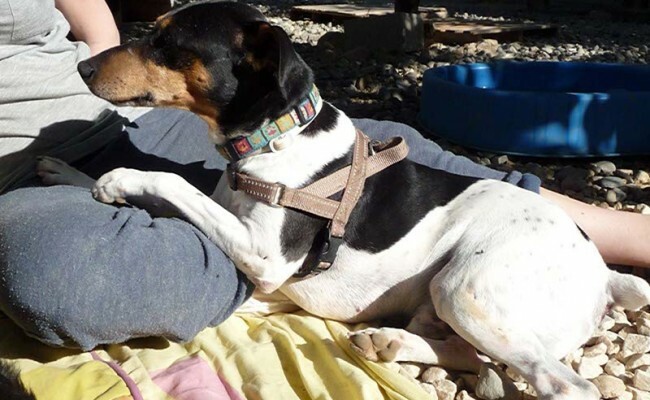 He has led a very hard life and was found chained up with about 25 dogs on a piece of land with very little food and no affection. 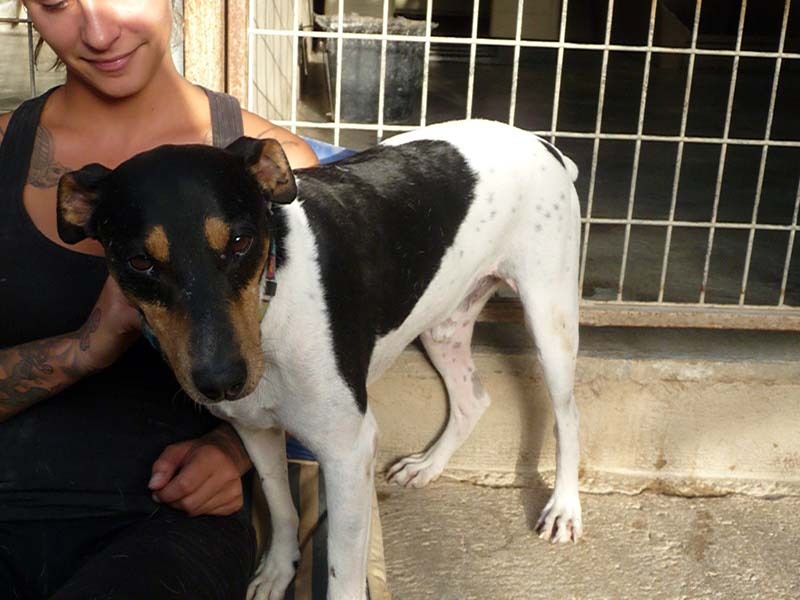 He has suffered an injury to his front leg which we have had checked out by our vet and can provide the x-rays. 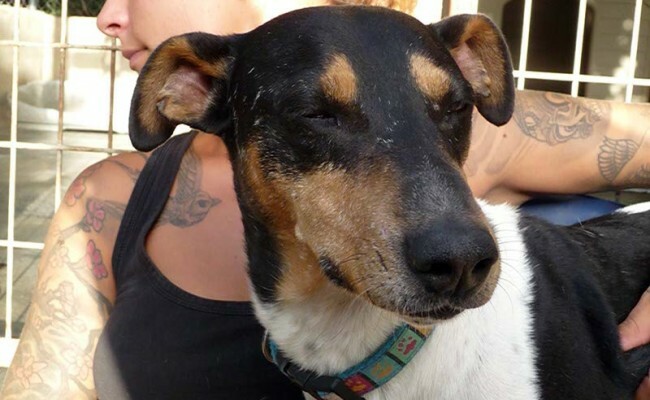 We obviously don’t know how the injury occurred but he is likely to have been hit either by a car or an object. 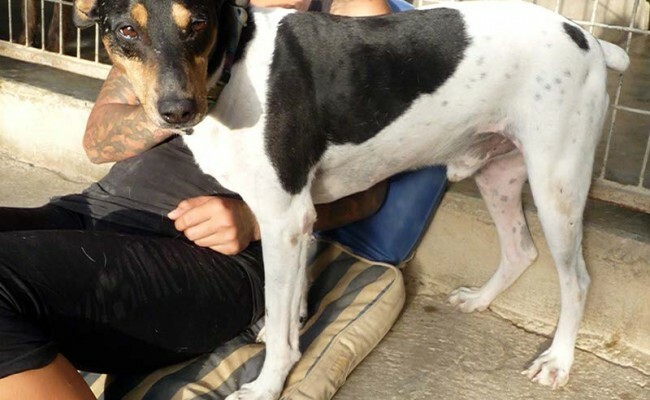 Because this has been left to heal without any veterinary attention, it has left him with a pronounced limp, but it doesn’t prevent him from enjoying his walks. 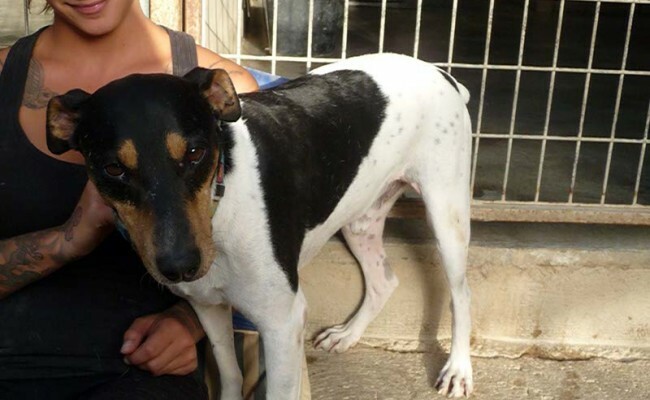 He would dearly love to jump up to say hello for a fuss, but is unable to reach up with his injured leg, so he jumps up and down on the spot waiting for someone to bend down and give him a fuss. 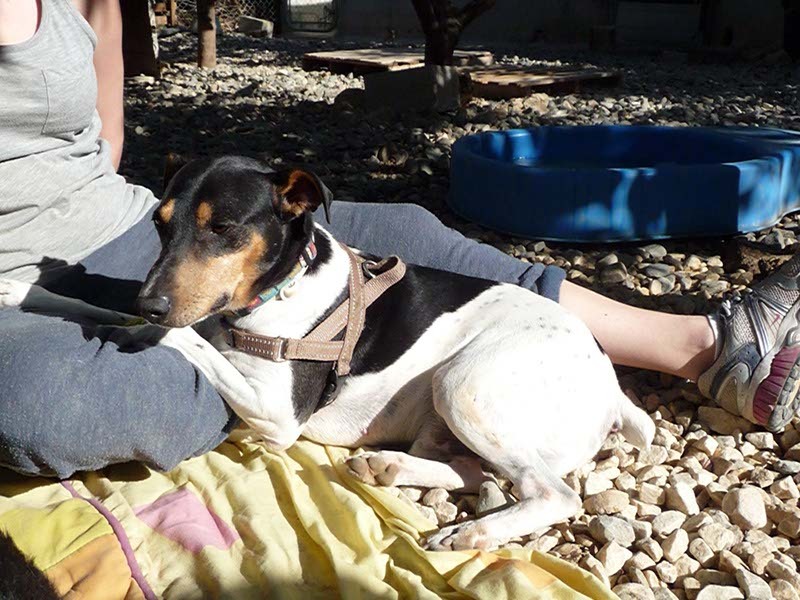 He really is a very cuddly boy and likes nothing better than to lay beside you and be stroked – he would stay there all day. 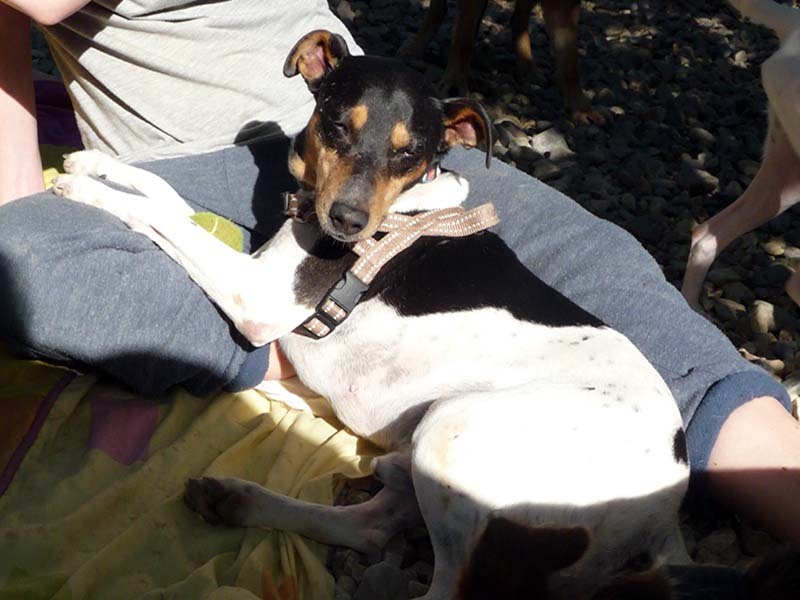 He is very chilled out, not at all demanding, and gets on with all the other dogs (unless they try to take his ball away from him). 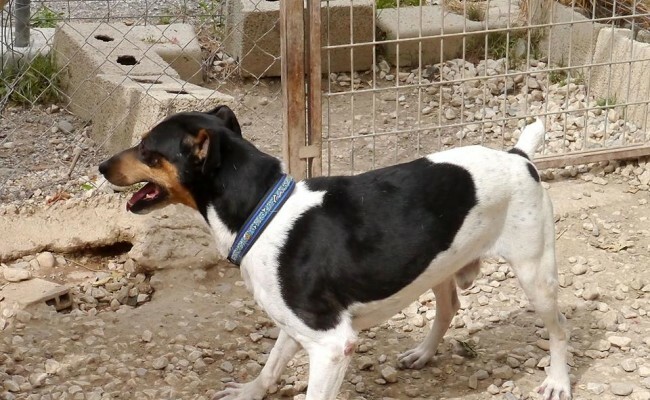 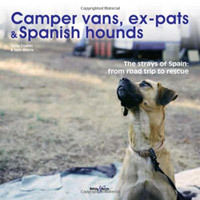 He is great outside and not worried by traffic or noise, walks brilliantly on a lead and can also go off-lead. 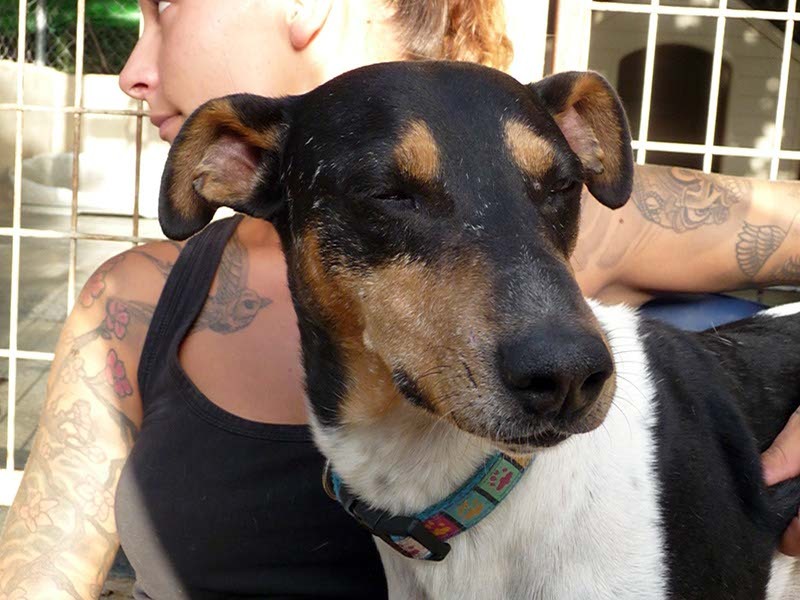 He was living around cats when he was rescued, so we presume he would be ok to live with cats, but to be doubly sure we have taken him out to meet cats in the street and he is fine. 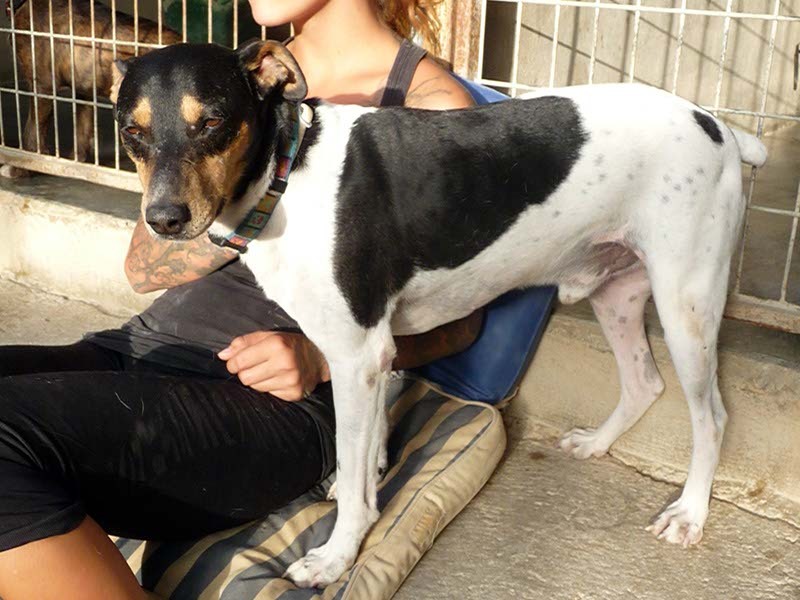 He would benefit from a home where he could be loved and adored, and although he really enjoys his walks we feel he would be better to have several shorter walks rather than long hikes due to his injury. 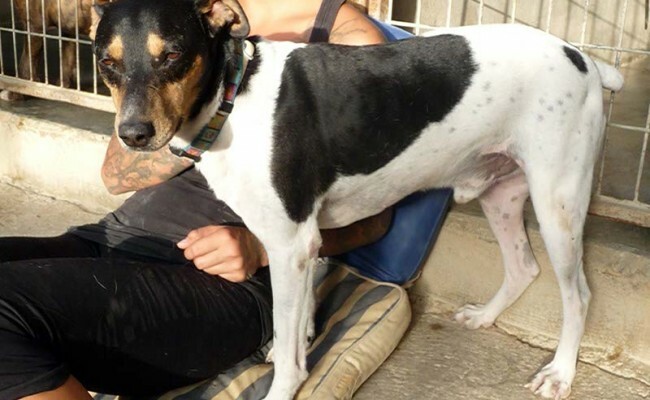 He would be fine to be homed with other dogs and possibly older children, as long as they respected his maturity and weren’t too much for him. 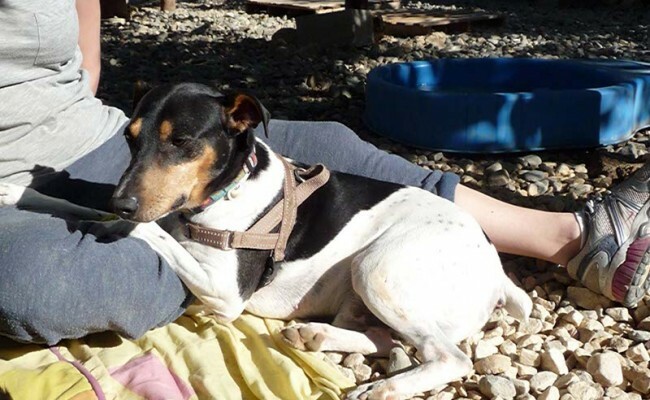 We would just love a home where he can get lots of love and attention as he just wants to be cuddled all day! 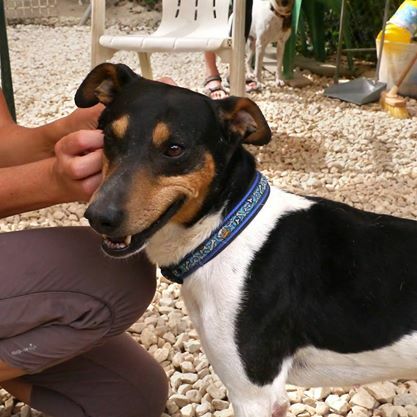 He is such a loveable and easy going boy, who will just be so loyal to anyone who will give him his chance.